Tesco say they have cut the price of milk to help people save on everyday items and that they will not pay farmers less. This a PR stunt not real customer care and thoroughly irresponsible. Read on for more or sign the RAW milk petition here. Tesco have now put pressure on milk prices as other retailers join the price war. Will Tesco profits drop by the amount they are dropping prices? No, because they will mark up other products to give shareholders the return they want. The net result is that more small dairy farmers will go out of business and mega dairies will be set up around the country. For more on mega dairies and raw milk click here. Here is why we should all sign the petition: Nearly all the milk available is pasteurised and homogenised to give long shelf life, ‘protect’ us from bugs and stop the cream rising to the top. Very few people know that these processes do many people more harm that good and that Raw milk straight from the cow is much better for us and if made available could keep thousands of dairy farmers in business. Unfortunately the Food Standards Agency (probably backed by supermarkets) has ruled that only dairy farmers producing their own raw milk are allowed to sell it from the farm, very difficult for understaffed, underfunded, farmers. If the rules changed farmers could sell their milk through local shops, and vending machines, you could even get a raw milk cappuccino! These local shops supplying great produce to local people is not what the supermarkets want and the story of milk over that last 20 years is a classic example or how the ‘food industry’, and over regulation, can ruin a product, and in this case, many of those producing it. The number of dairy farmers in the UK has gone from 45,000 in the 80s to 14,500 in 2012, and the threat of mega dairies like the USA, where 32,000 cows rarely taste fresh grass, and only live for 3 years, looms. Cheap, standard, fresh milk, that lasts for weeks in the fridge, from mega dairies, is what supermarkets, and many people think they, want. Others who understand the whole story and want to see cows in fields and be able to consume the milk, butter or cheese from those cows should be allowed to buy those products from local independent shops. Your comments are welcome. I totally agree! I drank raw (unpasteurised) milk for years. 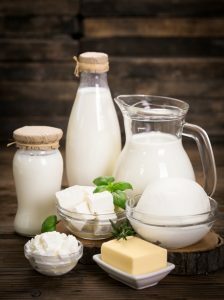 Raw milk is full of enzymes and beneficial bacteria which I’m sure helps to strengthen one’s immune system as well as many other health benefits. Providing the dairy farmers who produce raw milk practise excellent hygiene standards and test the milk regularly, there should be no health risk to humans. Cows should graze and the thought of them disappearing from our British landscape to be kept in factory farms is totally disgraceful. This must not happen. I’m going to start buying raw milk again! I would love to use raw milk again but have no idea where to find it. The sooner local shops sell raw milk the better. 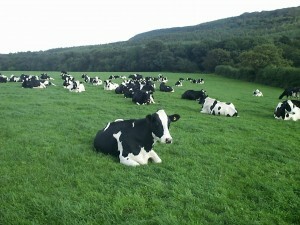 If you want to find raw milk, try a farmers’ market or naturalfoodfinder.co.uk or .com I forget which. It is also deliverable though this increases the price considerably. Unfortunately its a long way from being back in shops. Hook & Son are at Stoke Newington Farmers’ Market, London N16 7UY (find it on the Big Barn map) every Saturday and take internet orders too. Been drinking raw milk for years from a local farm, would never had a problem with it. With today’s hygiene standards there is no reason more farms shouldn’t sell it too.